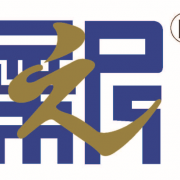 ﻿ WEIHAI NEW ERA CHEMICAL CO.,LTD. a picky manufacturer of fluorine chemicals, fluorosilicone compounds, and specialty chemicals. NEWERA is a picky manufacturer of fluorine chemicals, fluorosilicone compounds, and specialty chemicals. It always values the quality as the most powerful evidence of the success. NEWERA has been continuously providing professional trainings to the highly educated employees from famous universities to extract the best practices from these people.